Looking to get more for your money? 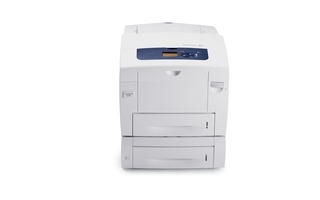 The Xerox Phaser 6500 from Pacific Office Automation is an affordable color printing solution for any cost-conscious office environment. Even with its small desktop footprint, the Phaser 6500 speeds through your print tasks at a blazing 24 pages per minute in full color and 24 pages in black and white. Though copies fly out quickly, each will exhibit the brilliance of 600 x 600 DPI (Dots Per Inch) image resolution. Such vibrant resolution will allow your office to show its professionalism every day as it simultaneously eliminates outsourcing costs. Users can eliminate more spending with toner-only cartridges that produce 80% less waste than comparable ink cartridges. 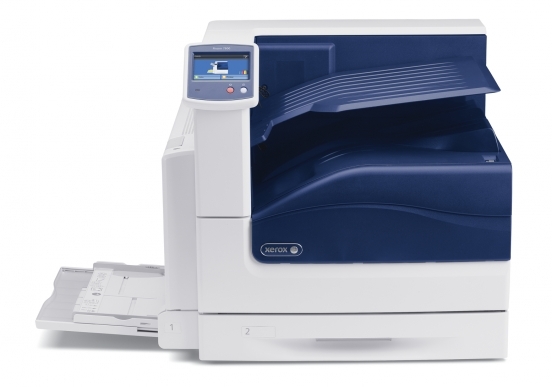 The Phaser 6500 has a standard paper capacity of 250 sheets that is further expandable to 500 sheets. Given the size of this machine, the paper capacities are sure to enhance production and improve workflow in your office as you spend more time at work and less at the printer. Speed and efficiency are backed by the Phaser 6500’s 400 MHz processor and 256 MB of memory (expandable to 768 MB, if you so choose) that expedite the transfer of information between your computer network and printing system. This model is compatible with both Windows (including Windows 7 OS) and Macintosh operating systems, making installation brief and painless. All printer functions are easily controlled using an intuitive LCD user interface which features a convenient gauge that shows current toner levels at a glance. All in all, the Phaser 6500 consistently delivers—providing your workgroup with sustainability and quality.